Antigripal containing 3 active ingredients: Paracetamol for pain and fever, Clorfenamina for runny nose and phenylephrine for nasal congestion. - Clorfenamina: Antihistamine. Reduces nasal drip. Termalgin Gripe is indicated to relieve fever, pain, runny nose, nasal congestion that usually appear with colds and flus. - Active ingredients: acetaminophen (650 mg), phenylephrine bitartrate (15,58 mg) and chlorpheniramine maleate (4 mg). - Excipients: Mannitol, saccharine, colloidal anhydrous silica, povidone orange flavoring. - Adults and adolescents over 15 years old: 3 or 4 sachets a day (every 6 to 8 hours) as needed. should not exceed 4 sachets a day. the lowest effective dose should be taken. As the symptoms are disappearing treatment should be discontinued. - Under 15 years old: it is contraindicated. - If you have asthma, diabetes, hypertension, tachycardia, a serious disease of the heart or arteries, severe liver disease, kidney disease, hyperthyroidism, anemia or glaucoma. - If you are treated with sympathomimetic medicines, monoamine oxidase (MAO) inhibitors or beta blockers medicines. - If you are allergic to the active substances or to other part of this medicine. - If you are being treated with other medicines. This medicine is contraindicated in children under 15 years old, pregnant and lactating women. Chronic alcoholics should not take more than 2 sachets / day. Do not take medication with paracetamol while being treated with Termalgin Gripe. Flu can porducir Termalgin sedation or sleepiness. This should be taken into account in drivers or persons operating machines. By containing this mannitol medicine, a laxative effect may occur. In case of overdose, you should go as soon as possible to a medical center. Symptoms often manifest after 3 days. Symptoms that may occur in case of overdose: vomiting, dizziness, anorexia, jaundice, abdominal pain, agitation, anxiety, convulsions, headache, insomnia or drowsiness, confusion, instability, irritability, psychosis, tremors, dry mouth, hypertension, arrhythmias. 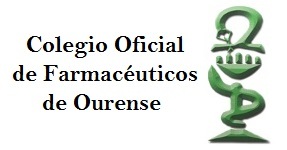 Toxicology Information Service +34 91 562 04 20.